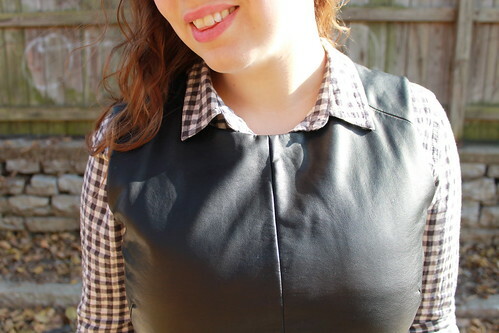 This fall, I've been doing a lot of layering sleeveless dresses over button-downs (see here and here), but today, it occurred to me that the same idea would work well with my leather peplum top. I kept the rest of the look simple and neutral, adding some saddle oxfords and a leopard-print belt as secondary points of interest. What do you think? 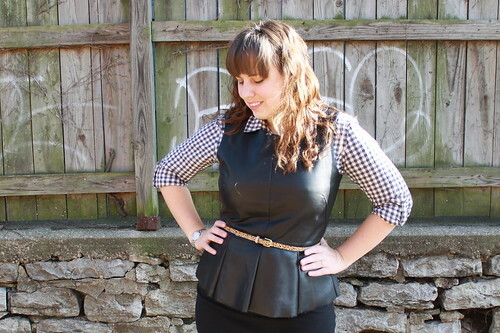 How are you layering button-downs this season? Holiday recipe: apple pie with olive-oil crust.